We spent the day today taking down some of the titles that have been hanging around here for a while and putting some more great books on the shelves. We’ve brought in tons of recent titles into our used section that you’ll want to get your hands on as we head into fall. Wait. Fall’s already here, right? Well soon the temperatures will follow and you’ll want to grab a blanket, a coffee and a great book for sure. Hygge it all up in the place. We’ve also refilled the sale rack, so there are some really great titles on there for just $1.95. 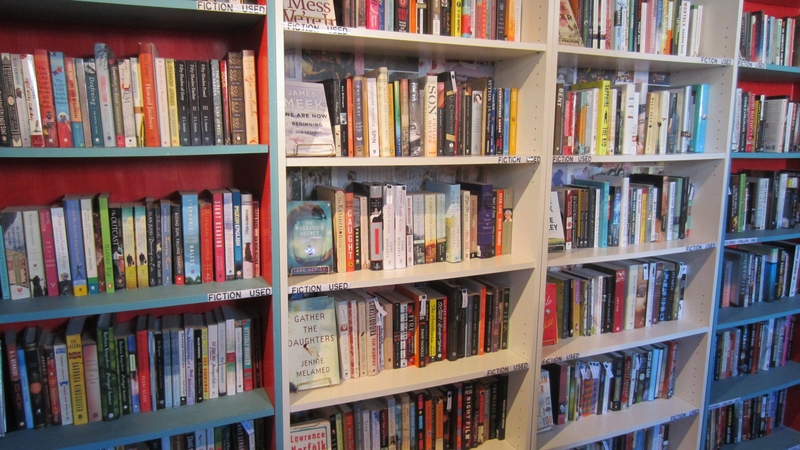 May 14, 2015 New to the secondhand shelves – and mystery book sale coming soon!